1. Conduct a meaningful survey. 1. 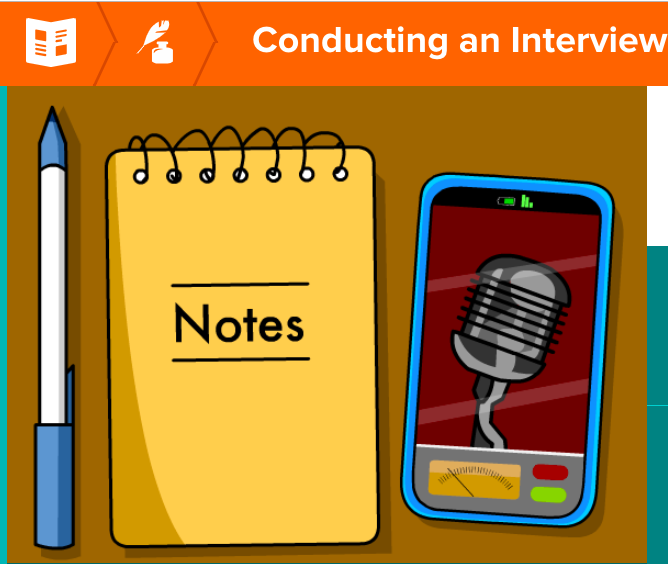 Before watching the video, think about 3-5 questions to ask the person who you want to interview. 2. Watch the video and write down the questions that were asked in the video. 3. What do you want to ask about the person? This is an interview of J.K. Rowling and her personal life. Jane Goodall was the guest of honour of Future For Nature in 2013. Jane Goodall is one of the topmost influential women in the world. She lived among chimpanzees for several decades and travels on average 300 days each year to give lectures all over the world. ​Interview, 2007, John Holcroft, (b.20th C./British), Computer graphics . Fine Art. Britannica ImageQuest, Encyclopædia Britannica, 25 May 2016.
quest.eb.com/search/107_3349770/1/107_3349770/cite. Accessed 27 Sep 2018. ​Checklist on a clipboard. Clip Art. Britannica ImageQuest, Encyclopædia Britannica, 25 May 2016.
quest.eb.com/search/186_1623590/1/186_1623590/cite. Accessed 28 Sep 2018. ​Conservationist Jane Goodall is working harder than ever -- at 82, she travels 300 days a year, speaking about climate change and endangered species. She sits down for a conversation with Wendy Mesley.